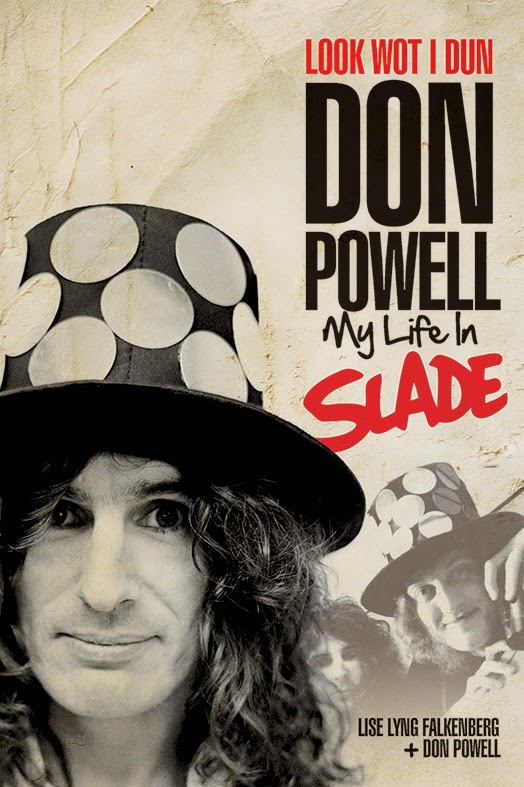 Continuing with the Slade theme, in 2013 Omnibus Press published Look What I Dun – My Life In Slade by Don Powell and Lise Lyng Falkenberg, and in the first of two extracts we find The ’N Betweens, the group that would become Slade, shuffling their personnel with the arrival of Noddy Holder and Jim Lea. All this is a bit shady as other musicians will soon find themselves out of a job, but the first rehearsal with the crucial four leaves no one in any doubt they were on to something. By the end of 1965, Don found himself in a tricky spot. Being in a locally successful band but wanting to change both the music and the line-up that had made its success was not an easy manoeuvre. The next few months were filled with secrecy and double-dealings and eventually it would cause some hurt feelings. “It was all a bit underhanded,” Don admits, “because Dave and myself wanted a four-piece band like The Beatles. It looked great on stage. I remember at one point we talked about getting Robert Plant as our singer. Looking back it was a bit strange, because we had already worked with Jimmy Page when we recorded for Barclay Records, so we kind of had a connection to half of what was to become Led Zeppelin. But we thought, if we got Robert Plant we also had to get another guitarist and we didn’t want that. We wanted the four-piece band. “At that point Robert Plant was in a band called Listen and later in Band of Joy. Noddy’s old band had been playing with Robert Plant and when Nod was not working, he used to roadie for them in his dad’s window-cleaning van, as his dad was a window cleaner. The pieces fell into place when Don and Dave bumped into Noddy in Wolverhampton and went for a coffee at Beattie’s Coffee Bar. Here they learnt that Noddy had left Steve Brett & The Mavericks, so they promptly offered him a job with Don and Dave’s new band. Noddy thought over the job offer, then accepted it. “We didn’t know Jim before the audition at The Blue Flame club,” Don says. “He showed up with his bass in a polythene bag and we picked him because he was a great bass player. He could play so fast, and the rest of the guys at the audition were crap. Some of these people, how could they think that they could play? Jim struck me straight away as being the one for the job, but Astra didn’t really want him. He was just a school kid and they probably found him too young to fit in with the image of The ’N Betweens. But we didn’t want him in The ’N Betweens, we wanted him in a new band with Noddy as the frontman, although Jim didn’t know that. He though he was to join the original band. The first rehearsal with the new four-piece band took place at the Three Men In A Boat, a pub near Noddy’s home on the Beechdale Estate in Walsall. “It was done in secret,” Don says, “as Johnny and Mick didn’t know. Dave and myself got our equipment together in the van. Dave was the only driver at that time, so he used to drive. We picked Jim up and went down for Noddy and then on to Three Men In A Boat, where we’d played a lot of times with The ’N Betweens. We knew the guy who ran the pub and he said we could rehearse there that afternoon. So we had a secret rehearsal just to see if it would work.